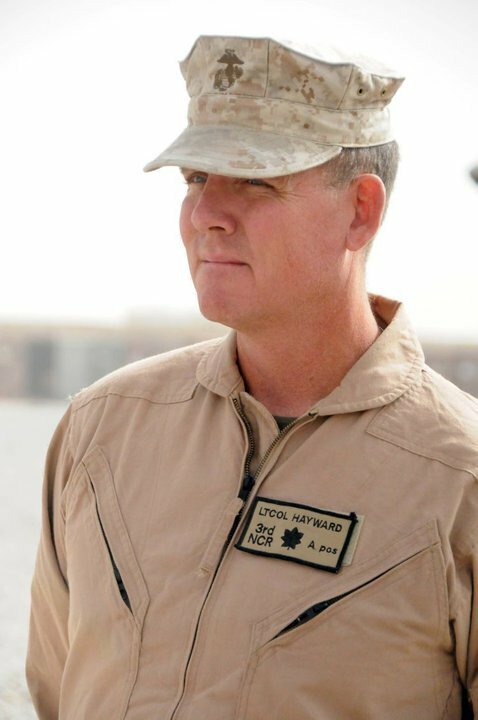 LtCol Stace Hayward - Friend & Marine. 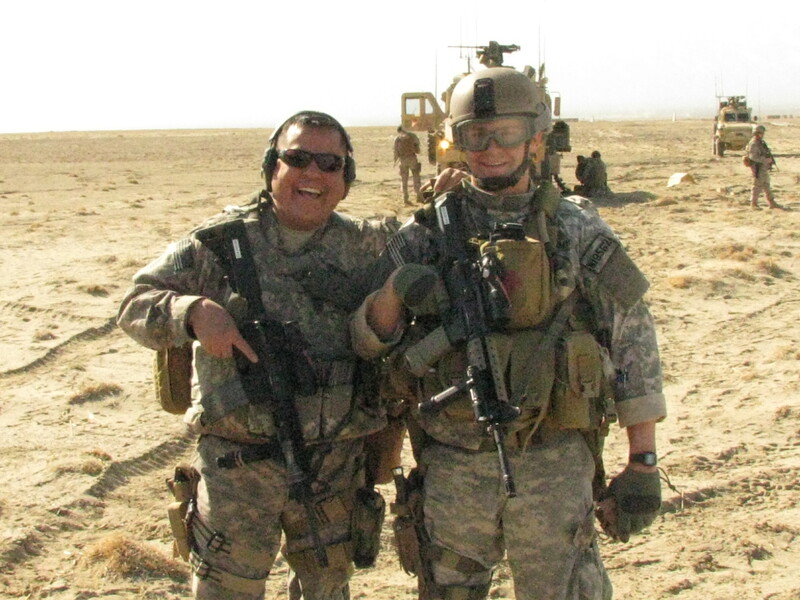 He's been carrying the MR14 "Vietnam Fighter" for several years now. He also carries a smaller knife we made him next to his pistol. I got to meet Gunnery Sgt R Lee Ermey in Oklahoma City. 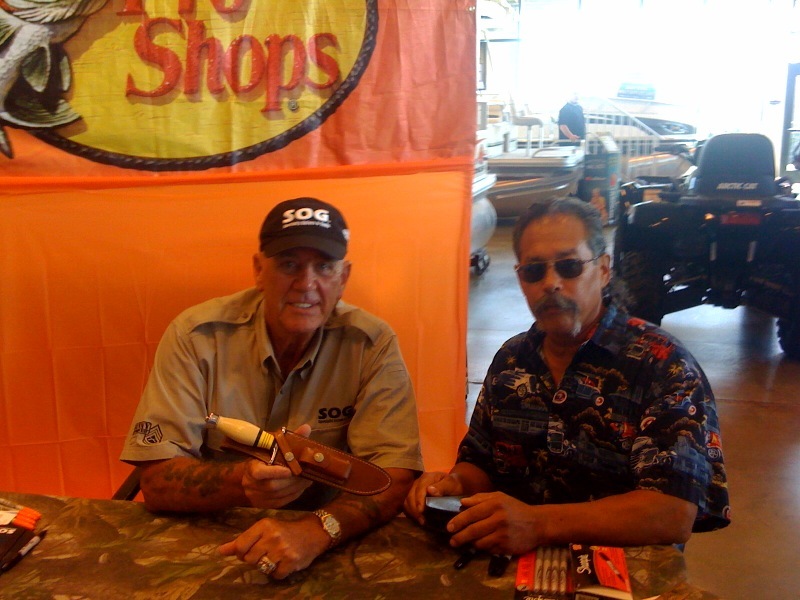 He was here at Bass Pro Shop promoting SOG knives. Well, I had a knife to show him, recognize it? He was impressed and asked for your card. I happened to have one, so I gave it to him. Pretty cool. I had him sign the back of the sheath! I wanted to thank you for your hard work that you put into my MR 1 knife. It's a beauty and it has served me well. It stayed with me on every mission. I also wanted to thank you for getting it to me so quickly before I deployed. I am so proud to use and own such a tough, beautifully crafted knife made by such great Americans! 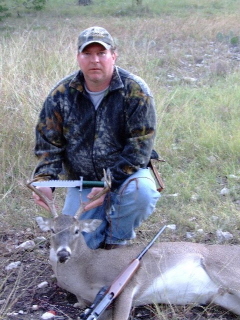 I spoke with Newton today about sending him pictures of my knife on our deer hunt. The Mc2 is one of the most strongest and well performing knifes I have ever owned. It stood up to rouged punishment, and that even though we gutted two deer and cut the chest bones out was still able to shave with it. P. S. Thanks for a well made knife it worth the wait!!!!!!!! Just wanted you to know that I received the knife today. Two words.....THOROUGHLY IMPRESSED! 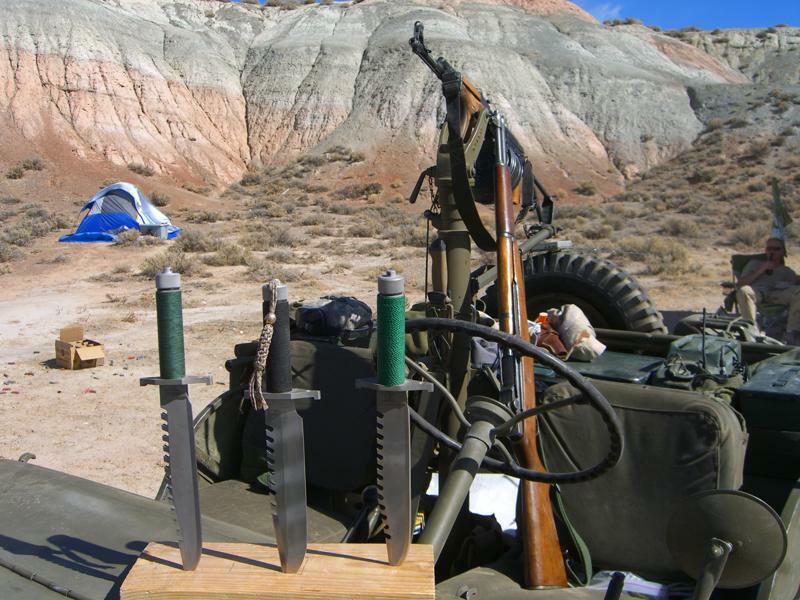 I have a LILE, several Randalls and numerous other knives. You guys are right at the top as far as handmade goes. And that sheath...............my God, that sheath is bulletproof. I especially liked the way you stamped my initials and the insignia on the sheath. 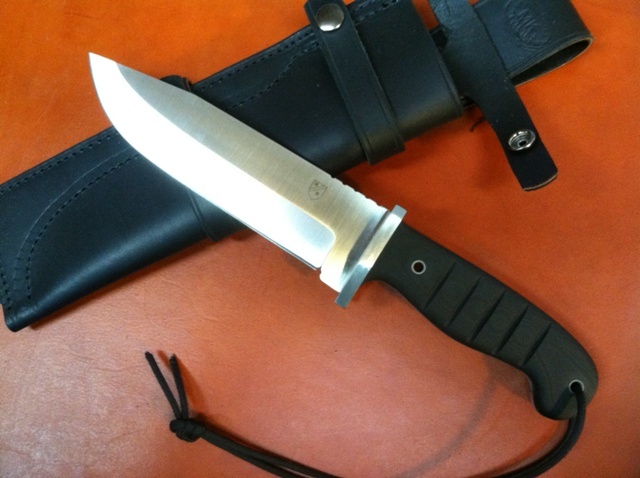 You make a top notch knife with a reasonable enough price that a person won't be afraid to use it. 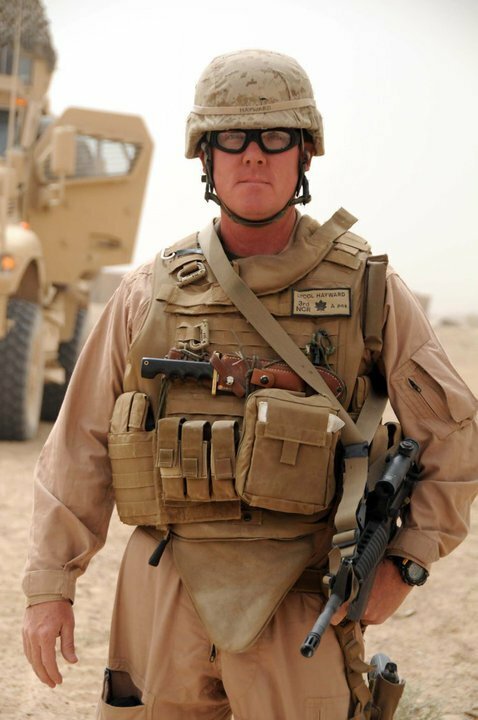 Again, I am still hoping to make it over to Iraq with my unit. If I do, that knife will be with me every step of the way. Martin Knives ROCKS!!!!!!!!!! You now have a customer for life. I do have one more question though. Where do you buy the green/black cord you use to wrap the handles? I've been looking for stuff like that to wrap the handles of my Randall. I got the knife yesterday. PERFECTION! You did an awesome job. You were right too......that is one stout knife. Thank You. Thanks again for everything. As soon as I get some good pics of me in country with your knives, I'll email them to you. Received the knife today and it looks great! Packaging was perfect also. I hope to purchase more knives in the near future. I just wanted to say Howdy and thank you for the updates on your knives. 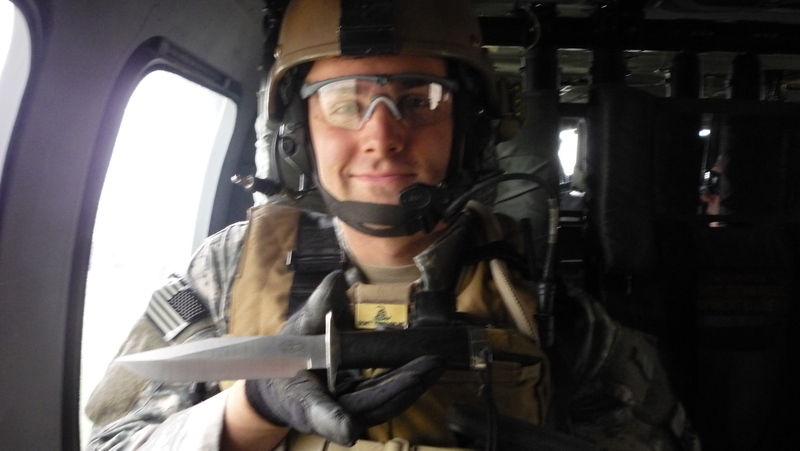 Both the Aggie Dagger and the Bowie you made for me have been on missions with me here in the Camp Echo AO of Iraq. I've broken watches, flashlights, clips, magazines, panels, gloves, sun glasses, holsters, speakers, laptops, knuckles, straps and all other kinds of gear over here but I've never broken either of my Martin knives. It would turn your stomach to see the things I've done with those knives but they never complain and just keep on working. 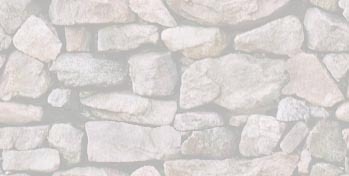 They sharpen up quickly and stay sharp well beyond any reasonable expectation. 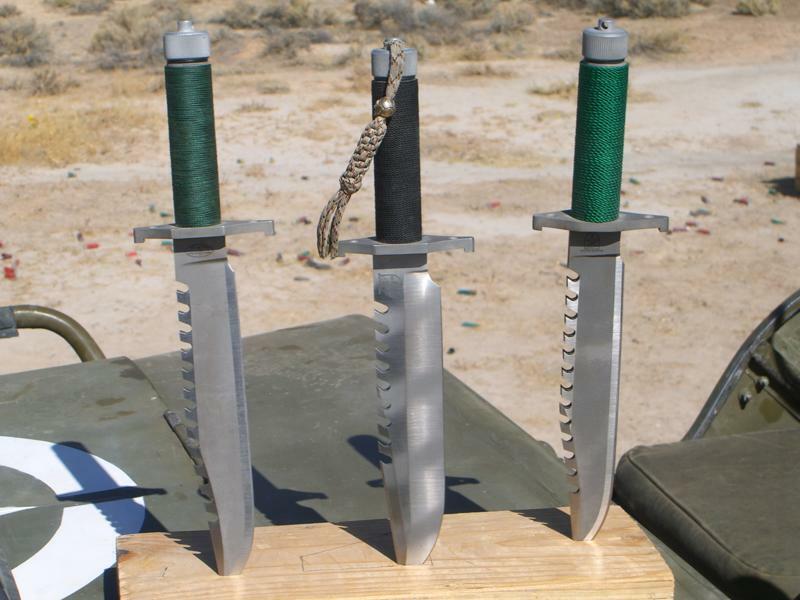 The Iraqis love them and once I let one Iraqi Officer look at the knife, they pass it around so all their buddies can see it. Please know that your customers appreciate the quality of your knives so much and it gives us one less thing to worry about breaking or letting us down. That means a lot over here where gear, little mechanical things, and such stuff always seem to break at the worst time. You guys take good care and have a great Christmas. I'll be home again in March and hope to get to Texas to see you. I'd love to see where you make your knives. Again, God bless and take care. GORE-TEX GLOVES AND IT WAS NOT AN ISSUE HOLDING ON TO IT AT ALL. AGAIN THANKS TO YOU ALL FOR A JOB WELL DONE. Allan Carter here. I was the lucky fellow who ordered a SURV9 from you awhile back, and it was ready in three days because you had a blank on hand. 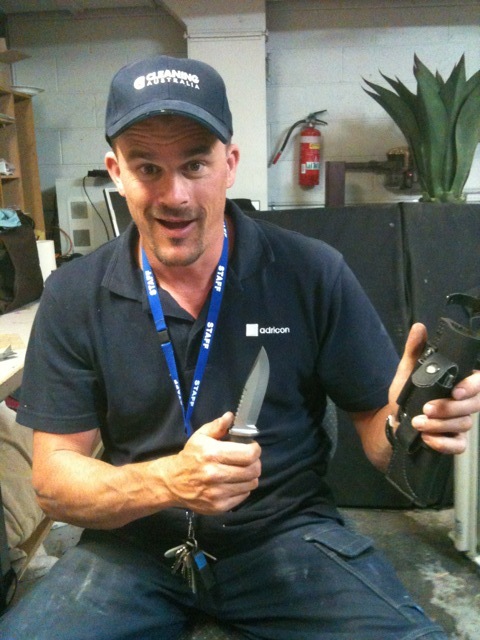 Since then, after they saw my knife, two of my pals ordered MCE IIs. 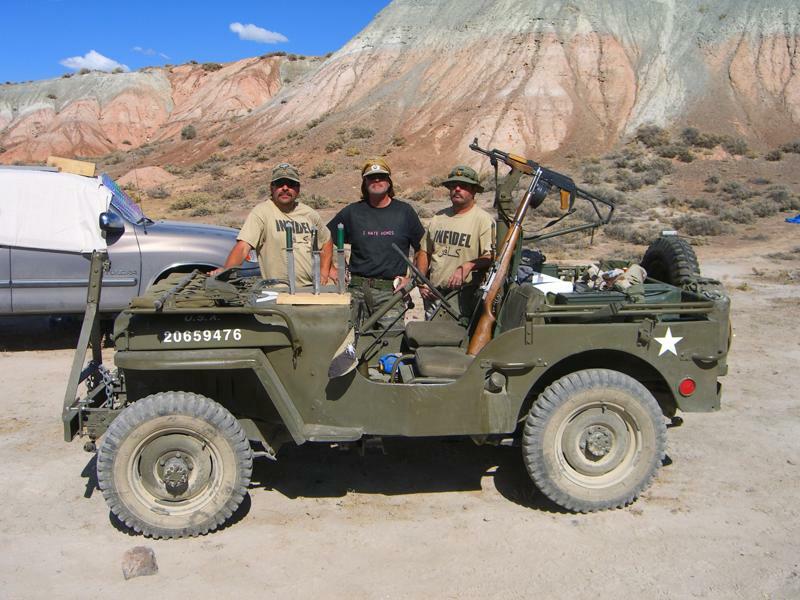 Attached is a picture of us on a recent camping trip to the Nevada desert, acting like the morons we are. The knives are included as well! We are all very happy with the blades and their performance! It gives one a degree of confidence to be able to open a beer and scare the living daylights out of just about anyone in the middle of nowhere with equal skill! 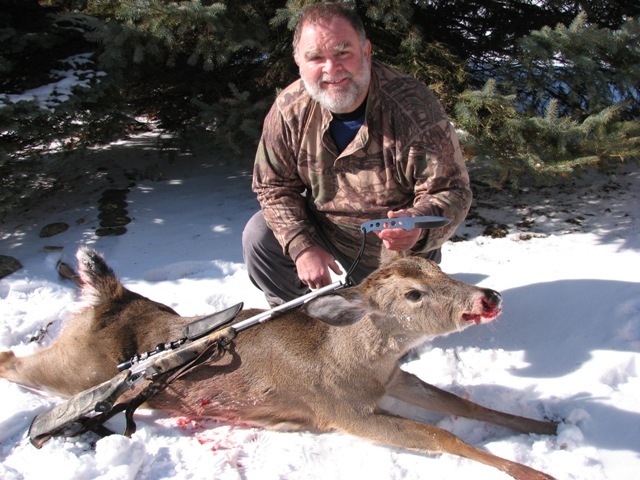 The confidence also comes from having a tool that is well made and capable of performing in extreme situations. Thanks again, you guys turn out a top-notch product at a very reasonable price. A very happy timmy wild!! Many thanks ed great quality as always! model, which I also own. shows no wear. Great stuff! time. 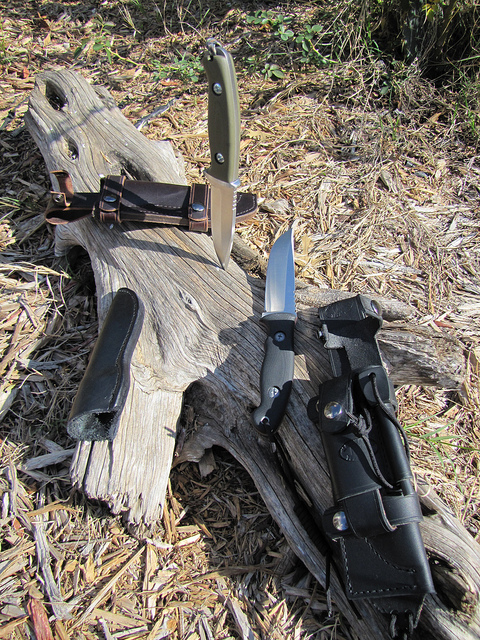 I use the heavy duty sheaths for my time in the woods. pretty enough to do that if that's you're a collector and that's your plan. telling him how much I love the new blade. Thanks guys for another awesome product! I picked up this BIG Texas Sized BT Prototype at the post office last night. Damn, that Priority Mail box was heavy!!!! In all seriousness, I have to tell you and Newt that this one makes a big statement, to me, about the level of precision and the demand for uncompromising quality that Martin Knives requires of it’s products. This piece tells me that I can expect near perfection out of even a "rough draft" right off the work bench. I am impressed. If this thing wasn’t a Prototype, I KNOW that I would have to consider making it a regular carry piece for me when I’m out in the woods……in other words, I WANT ANOTHER ONE THAT I CAN CARRY AND GIVE A WORKOUT TO!!!! This next one is going to get down and dirty on the campground, in the gutpile, and give me plenty of peace of mind whenever it is at my hip. I can’t say enough GOOD about this knife. "Ladies and gentlemen, THESE ARE THE MARTIN BOYZ!!!! They done GOOD!!!" I’m as serious as a hair in one of Grandma’s homemade biscuits! If I’m lyin, I’m dyin.